Brand Names: Lithobid, Eskalith. Clinical trials found that lithium is a good choice for controlling depression, stabilizing mood and reducing suicidal thoughts. However, there are lithium side effects that should be considered before beginning the medication which include tremors, edema and kidney damage. Most people get experience no side effects at all while on Lithium. 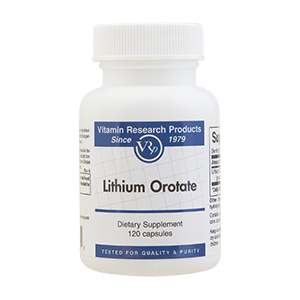 Taking lithium is like taking salt, and it may cause excessive thirst or urination. Some patients have also described experiencing some symptoms of nausea while taking lithium, but taking slow-release tablets can reduce this problem. If nausea begins after taking the drug for a period of time, it may be a sign that lithium levels are too high in the body, and it should be decreased. Regularly monitoring the dosage and having frequent testing done can prevent these problems. This medication is known to cause birth defects in unborn children, and lithium users who get pregnant while on the medication require a specialist’s attention. Men may also experience sexual side effects, like a loss of libido or erectile dysfunction while taking lithium. Lithium side effects in children are similar to those found in adults. Food intake and exercise should be monitored while taking lithium, and physical activity should be increased, because it has also been found that lithium can also increase weight gain in clinical studies. Tests should be done regularly to determine how much lithium is in the blood, including having a test done prior to starting the medication, because high levels of lithium can be dangerous. Long term users of lithium should also monitor kidney function by getting regular creatinine testing. If creatinine levels are over 1.0, it is wise to switch medications. Kidney failure in these patients is often due to lithium toxicity. People on blood pressure medications and non-steroidal anti-inflammatories should not take lithium, and ibuprofen usage should be limited. It is important to note that most of the lithium side effects go away with regular use of the medication. In addition, if there are problems, the dosage can be adjusted. By working with a physician to manage side effects, lithium is an effective treatment of Bipolar Disorder and as a mood stabilizer. Because lithium is a salt, many of the side effects can be alleviated by drinking plenty of water.